Strawberry Hibiscus takes your tastebuds on a tropical spa vacation. Or perhaps to a U-pick strawberry farm. With the taste of fresh strawberry juice and a touch of hibiscus, every sip takes you to your happy place. Clearly Kombucha Strawberry Hibiscus is so good! It's the perfect light and refreshing drink. I love the strawberry and hibiscus flavors together and the kombucha gives it the unique twist that I really enjoy. It's low in calories and sure to please your taste buds. I also love that Clearly Kombucha Strawberry Hibiscus is made from ingredients that are organic, Fair Trade, and non-GMO. This is one of those beverages that you can drink and get all sorts of questions from friends because everyone's heard about kombucha. Be a good friend and introduce them to true kombucha that tastes amazing! Chai Cola will make you nostalgic for afternoons spent at an old-fashioned soda fountain. Or, if that was before your time, it'll remind you of a morning chai on crisp fall days at your local coffee house. Exotic and spicy, yet sweet like cola, this flavor is for even those who are skeptical of kombucha. Clearly Kombucha Chai Cola is deliciously wonderful! I love chai so it's no surprise that I really liked this flavor. All of the flavors come through wonderfully and create a wonderful unique flavor. It's both light and refreshing and I love that it's low in calories. 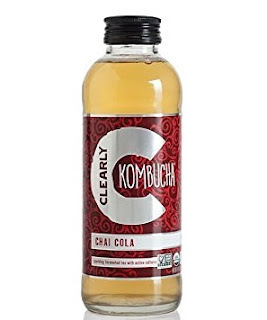 I also love that Clearly Kombucha Chai Cola is made from ingredients that are organic, Fair Trade, and non-GMO. This is the perfect kombucha and I absolutely love it! Click HERE to find a retailer near you that sells Clearly Kombucha! 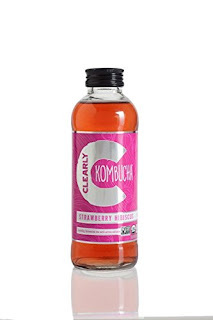 Click HERE to check out Clearly Kombucha's other flavors! Click HERE to learn more about Clearly Kombucha! Follow Clearly Kombucha on social media!